Good morning! I'm so excited to get back into scrapbooking and Project Life - it's been far too long. I managed to accomplish lots this week so I have a few weeks of Scrapbook Saturday posts for you:) This weeks layout uses the So You stamp set in the Occasions catalogue. 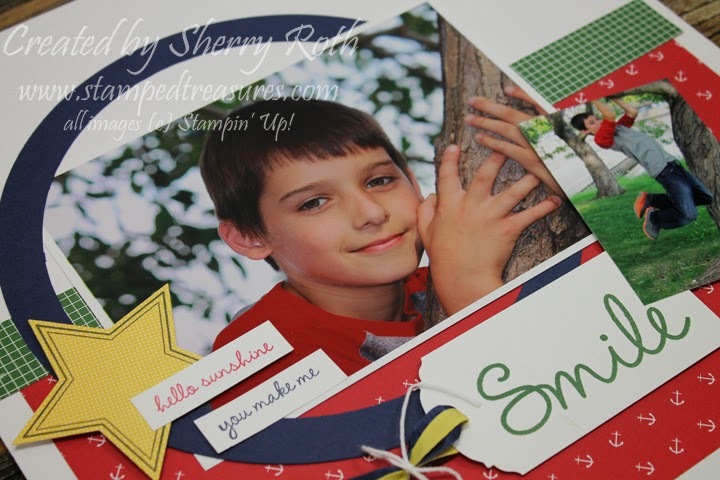 I love this stamp set - it can be used for so many different things! It really is very versatile. You'll be seeing lots of this set. This layout uses lots of products - a mix of different papers from different paper packages - which I don't usually do but it worked with this layout. Lots of bright primary colors. 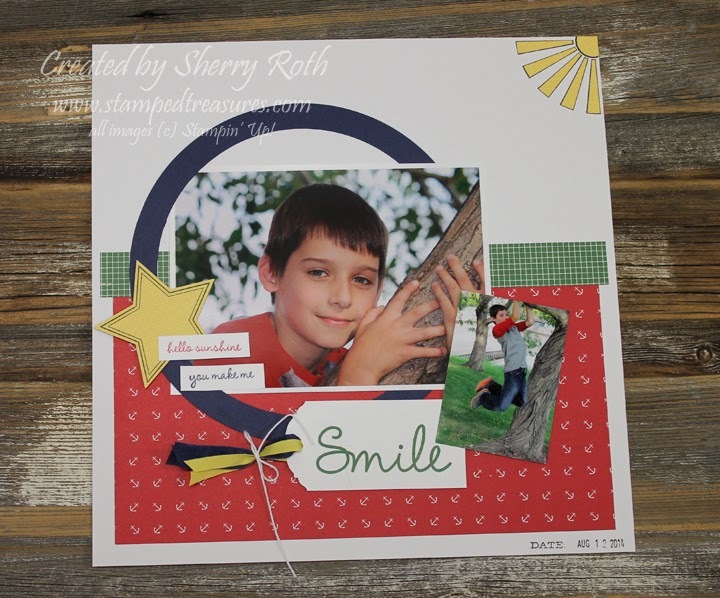 Perfect for a page featuring a handsome young boy:) Photo was taken by Jeanelle Slade at Midnight Moon Photography. I'm looking forward to working on documenting our Phoenix trip tomorrow at my crop. There is still room if you are interested in attending just send me an email. Click any of the items to find out more information or to place an order.